DEARBORN — Ford Motor Co. Friday announced the release of a free tool the company says will make it easier for smartphone app developers to build in-car apps compatible with the company’s Sync 3 communications and entertainment system. 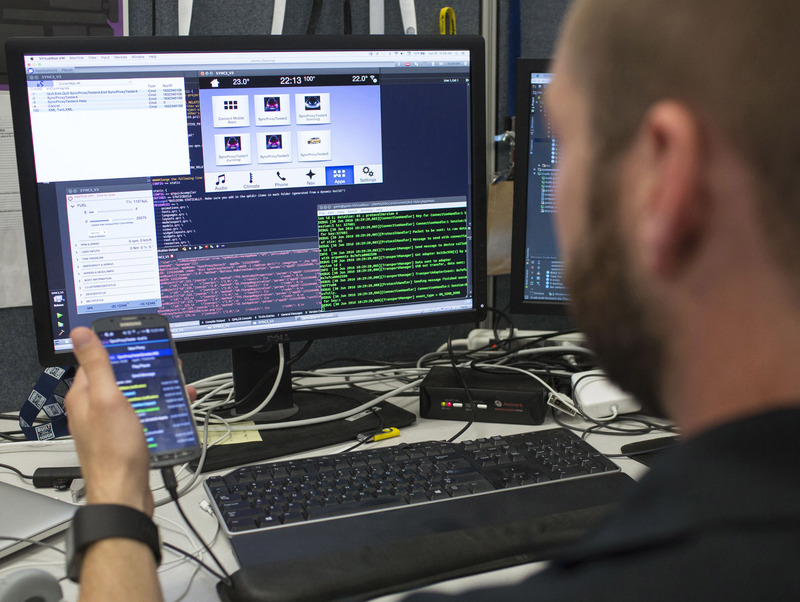 Downloadable from the Ford Developer Program website, SYNC 3 AppLink Emulator is a software program that helps developers create AppLink-enabled apps by allowing them to test how their app will look and work on a SYNC 3 interface – without access to an actual vehicle. The emulator allows a smartphone to connect to the developer’s computer – just like it would normally connect to Sync 3. The software platform then mimics Sync 3 by connecting to the app running from the developer’s phone. The user can fine-tune the look and functionality of the app, and see instantly how the features would appear on a vehicle touch screen. The software allows developers to set certain conditions – such as vehicle speed, location, temperature and mileage – to test how the app responds to each. These customizable settings empower developers to make apps that deliver more personalized experiences for customers. Ford says there are more than 15 million Sync-equipped vehicles on the road worldwide today, a number expected ot rise to 43 million by 2020. Ford will host its third annual SYNC AppLink Developer Conference in conjunction with CTIA Super Mobility 2016 Sept. 7-9 in Las Vegas. Ford engineers will be on hand to explain the newest software tools for developing more personalized, vehicle-data-driven apps. In addition, the Ford developer team will hold a hackathon, where developers can put into action what they have learned for a chance to win prizes. Past hackathons have attracted developers from the United States, Canada, the United Kingdom, Brazil, Hong Kong and Japan. Launched in 2013, the Ford Developer Program invites app developers to innovate with the company in the auto industry’s first end-to-end developer ecosystem. The program now has more than 15,000 registered users and more than 90 AppLink-compatible smartphone apps globally. Spotify, AccuWeather, MLB.com At Bat and iHeartAuto are a few popular apps that now feature AppLink capability.